The Bid Evaluation Committee has disqualified any bid submitted for the Grand Ringing tender, considering as they did not comply with the requirements. The chairman of ARA, Sonila Qato, on a media outlet announced that no submitted bid was qualified. According to her, the submitted bids did not meet the required criteria, while adding that the works on the other lotions of the project would follow normally. "The Albanian Road Authority will continue to rely on an excellent standard of legality and transparency. To ensure that any work built with public funds is the result of fair competition between companies, as well as the fruit of the work of a winning company that needs to have 100% consistent documentation with the rules of the race. 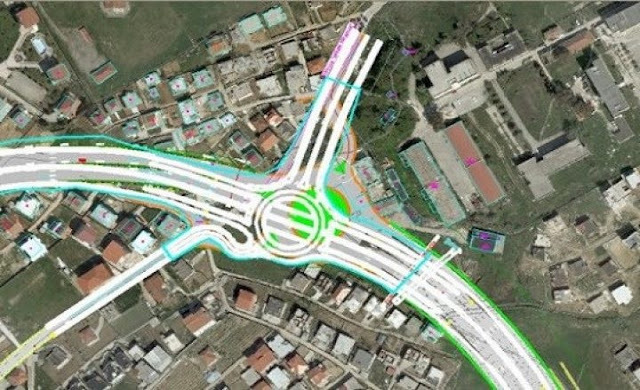 This is not the case of the procedure 'On the Rehabilitation of the Road Segment in the overpass Arrow Palace (Alb: Pallati me Shigjeta) - the roundabout at the 'Eagle', Lot 1', where none of the companies did not present documentation complying with the criteria set by the Albanian Road Authority", says Qato , at the first release for media after taking the office. Qato added that he would present to the Minister Balluku a transparent process and that the companies have the right to complain. In December 2018, the former Minister, Damian Gjiknuri in a public statement announced that the tender for one tear of the Big Ring project was canceled for forgery of documents. At that time Minister Gjiknuri said that no financial damage was found to be caused and that the institution's attitude is in full compliance with the law.